It’s Valentine’s Day! Here in Oaxaca for the past few weeks we’ve been working with Mixe (Ayuuk) friends as they’re preparing a special meal this afternoon. Today we’re going to fill our hearts and our stomachs! Mexico City. President Felipe Calderón urged Mexicans to be capable of understanding and uniting around Mexico. During the presentation of the Activity Program for the Independence Bicentennial and the Revolution Centennial, the President called for 2010 to be a year of union for all and the start of a new page in national history. “I know, because I experience it everyday in my capacity as Mexican president, that in every governor, mayor and legislator, there is the will and the conviction to help Mexicans achieve a better future. We may think along different lines, but what links us and should link us even more now is precisely, Mexico’s higher interest,” he declared. Accompanied by members of the cabinet, governors and the intellectual community, the President stressed the fact that differences cannot nor should not constitute a barrier to Mexicans’ enormous capacity for creating a better future. “Now, more than ever, particularly for us, governing means having sufficiently lofty ideals to be able to place Mexico and Mexicans above any interest,” he said. The Mexican President said that 2,300 events will be staged to celebrate 200 years of being Mexican. These events will be organized by the various governments, the three branches of government, civil society, the media and private enterprise. He stressed that we must unite around these celebrations and urged society to rise above its legitimate discrepancies and differences. “Without being over-confident and acknowledging the enormous amount that still remains to be done and recognizing our shortcomings and mistakes and understanding our grievances, let us lend meaning to the celebration of the Bicentennial by feeling proud to be Mexican because of all that we have managed to construct but above all, because of all that we will construct in the future,” he explained. Acapulco, MEXICO (February 11, 2010)—It’s that time of year again, when MexicoPremiere.com sends out its yearly shout-out through the blogosphere for participants in the annual Nick Gallo Award. Created in 2008 to honor award-winning freelance writer Nick Gallo, the award has become a flashpoint for Mexico travel writers from across the globe. Last year’s winner, Dan Millington, flew off to Puerto Vallarta and enjoyed a stay at the gorgeous Hotel des Artistes, courtesy of MexicoPremiere.com partners Aeromexico and Mexico Boutique Hotels. “It was truly amazing—one of the best vacations we’ve ever enjoyed,” said Dan. “But no matter how many great memories my wife and I created during our stay, we’re keeping one very important one alive and well: that of our good friend and colleague, Nick Gallo. The fact that his wife actually created the award plaque made it even more poignant. It holds a place of honor in our home.” Millington, a Southern California native, has provided creative writing and photography to the publishing, advertising, and travel industries for more than 15 years. As a writer/photographer Dan has contributed to many publications such as, Moon’s Baja Handbook, AAA’s Mexico TravelBook, Fodor’s Yucatán Gold Guide, Departures Magazine, Caribbean Travel & Life Magazine, Orange County Magazine, and Horizon Air Magazine. His photography of Mexico and Africa has also been featured in a variety of newspapers. The 2010 Nick Gallo Award will be handed out during SECTUR’s Tianguis convention, held from April 25-28 in the Acapulco International Center. This is Mexico tourism’s premier event, a gathering that brings together not only the industry’s buyers and providers, but also a brilliant roster of international and local travel journalists. The winner of the 2010 Nick Gallo award will receive an engraved plaque created by Laurie Brown-Gallo plus a three-night stay for two in a participating Mexico Boutique Hotel property, including air from a U.S. gateway. Entry guidelines will post soon and entries are only open to freelance writers based in the United States and Canada. 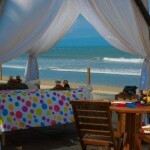 For more information and details, visit http://www.mexicopremiere.com/. Nick Gallo, two-time winner of the Mexico Tourism Board’s prestigious Pluma de Plata award, regular contributor to such prestigious titles as Travel & Leisure, Alaska Airlines Magazine, United Airlines Hemispheres, Private Clubs, Northwest Airlines WorldTraveler, father, husband and matchless colleague, passed away iin October 2007 while on assignment in Greece. A touching in memoriam written by fellow writers can be found at www.MexicoPremiere.com/?p=256. Established in 1999, MBH is a collection of 46 upscale, independent member properties (located in over 26 destinations throughout Mexico) handpicked for their intimacy, high level of service and outstanding attributes. Some are housed in exquisitely restored buildings, others are paeans to Mexican cuisine, still others showcase the sleekly modern–but they each encourage guests to savor the many fascinating traditions of this vast country, and all offer guests a unique travel experience. Typically less than 30 rooms in size, they are often destinations unto themselves. Based in Puerto Vallarta, MBH is staffed by an experienced team of multicultural—and multilingual—travel and hospitality professionals who both live and work in Mexico. 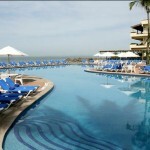 Book any of Mexico Boutique Hotels’ stylish properties by calling 1-800-728-9098 (US and Canada) or visiting http://www.mexicoboutiquehotels.com/. Mexico is so lucky. Jennifer Aniston, that tireless philanthropist, has directed her laser focus onto its many difficulties, and has finally hit on a way to pull it up by its bootstraps and make it all better: she’s going to stay at the One&Only Palmilla in Cabo as long as she can, and she’s going to bring all her friends, and they’re going to spend their money to make a difference. Yessiree, Bob, she’s finally found a way. And not only is she boosting the country’s tourism industry, but by golly, she’s getting those orphans taken care of, too. I know the profundity of Ms. Aniston brings tears to your eyes, as it did to mine. In fact, fellow MP writer, Lisa Coleman, and I, would like nothing more than to be able to help boost Mexico’s economy with a $9,000-a-night stay at the One&Only Palmilla. For a week. And we’ll whole-heartedly support the Farita doll effort. It’s the least we can do. Here is something you don’t hear much about: Our nation’s capital, Washington D.C., had a homicide rate of 30 per 100,000 in 2008, while the rate in Mexico City was 9 per 100,000. The most recent stats have popular Costa Rica at around 8 per 100k, Honduras at 58, Jamaica at 49, South Africa is 37, Brazil is 26 and Puerto Rico and Panama are at 19. Mexico is at a fraction of these countries at 10 per 100,00. Funny, I don’t read much about how Americans should stay away from those countries. Because of the daily drumbeat by the mainstream media of the drug cartel violence, with the feds fighting the dealers and the dealers fighting each other, the perception is that all of Mexico should be avoided by otherwise sane tourists. As a result, travelers are not going like they used to. And the country is suffering. Tourism dollars account for a good percent of the local economies in many of the popular towns like Puerto Vallarta, Cancun, Cabo, Mazatlan and Acapulco. Tens of thousands of expats now call Mexico home, and they feel as safe as they ever have. I encourage you to visit Mexico soon and you’ll see what I mean. According to a census taken by World Wildlife Fund – Mexico, the number of monarch butterflies wintering in Mexico has fallen to the lowest on record.